On 21th August 2014, Vinod Gupta School of Management, IIT Kharagpur, had the privilege of hosting a guest lecture by Mr. Pankaj Dubey, MD and Country Head at Polaris India on Success Mantras and His Experiences in growing Polaris Brand in India . Mr Dubey a graduate of University of Allahabad in BA (Eco) and is an alumnus of Motilal Nehru Institute of Research and Business Administration, where he earned in MBA degree. He has completed ‘Program for Leading and Managing’ from IIM Calcutta and ‘Polaris leadership development program’ from Carlson School of Management, University of Minnesota. Apart from this, Mr Dubey owns a Google CMO Academy Certificate from the Indian School of Business. The session kick-started on an interesting note, wherein Mr. Dubey announced that he won’t be just discussing the philosophies and mantras he followed throughout his career but would also be discussing how he applied them in real life situations to grow the Polaris and Indian Motorcycle Brand in India.He listed down six success mantras that helped him rise up the corporate ladder. He started with the most important mantra to succeed in a corporate setting, ‘Respect your boss’, and stressed on the importance of a good equation with your boss. Next, he stressed on the importance of accepting challenges and capitalizing on the opportunities that come our way. Moving ahead, he discussed how important it is to feel and celebrate your success with your colleagues, friends and family. Lastly, he discussed the critical mantras such as “No is never Final”, ‘Failure is an opportunity’ and ‘Be a part of solution’, all of these mantras focused on the perseverance, optimism and creativity one needs to be successful in corporate life. After discussing these success mantras he shared example of some successful personalities who made it big despite being from a less privileged background. He also focused on the importance of having dreams with date and shared his personal achievement chart, which turned out to be an epitome. Taking the discussion further, Mr. Dubey discussed the history of Polaris and how it has established itself as a pioneer brand in All Terrain Vehicles (ATVs) and snowmobiles. He then discussed the various challenges Polaris faced when it was setting up a base in India and the innovative mitigation strategies he came up with to overcome the difficulties. Finally, he summarized the session by playing a video which showcased the different milestones achieved by Polaris India. 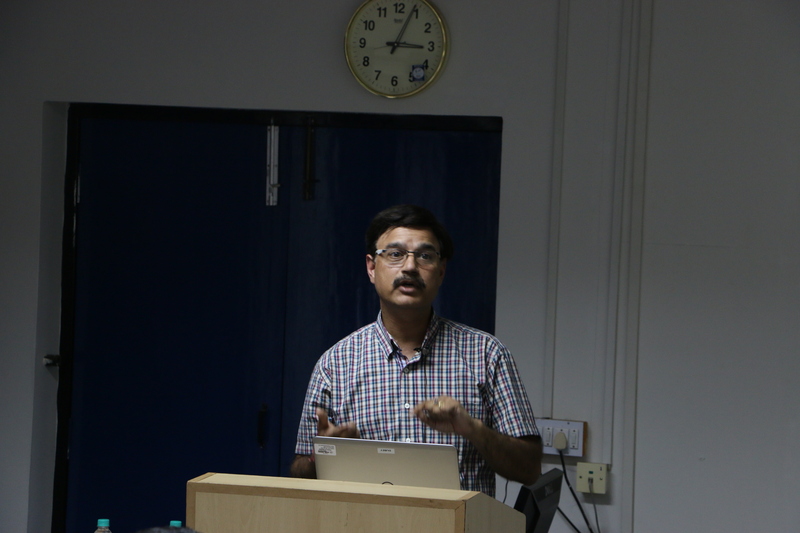 All in all, it turned out to be a very informative and enriching session for the students of VGSOM, IIT Kharagpur, wherein they could learn the nitty-gritties of tackling industry problems from the industry stalwart himself.